Smartphone Cases calling your name! 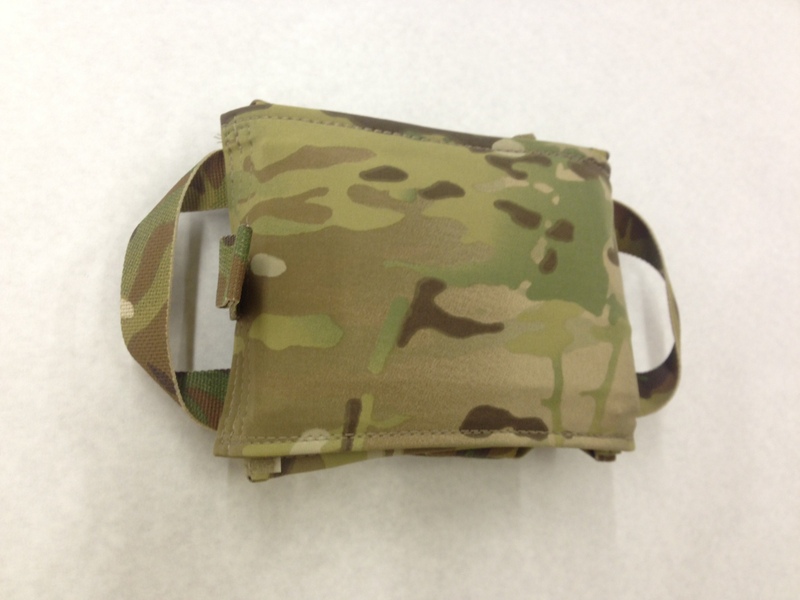 Spot on Molle Smartphone Cases just out from Production at Raine Inc.! For years we have provided our military buyers with the highest quality ID holders on the market. Now’s your chance to get in on Raine’s newest product, the Smartphone case. 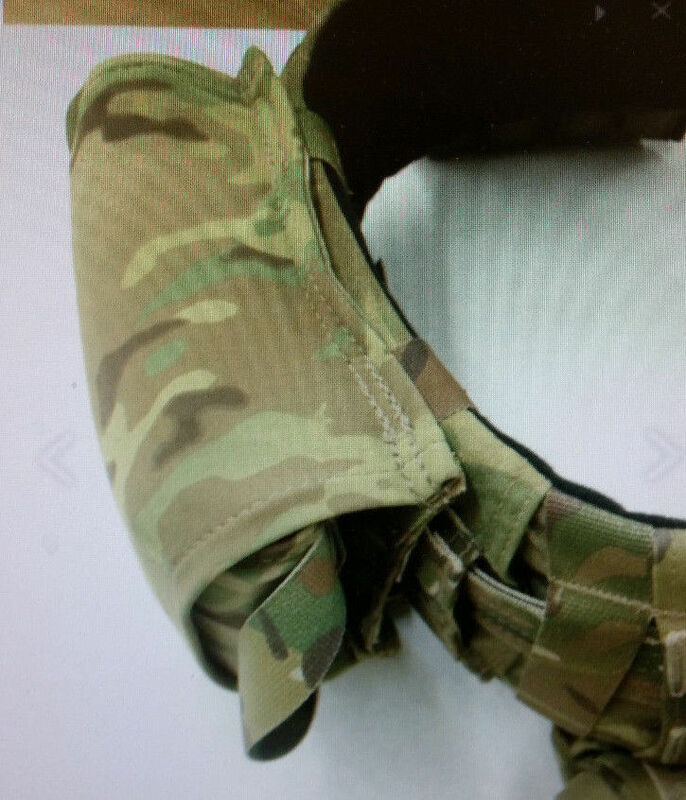 Featured in two fabrics, black and Multicam, and with or without a belt loop. 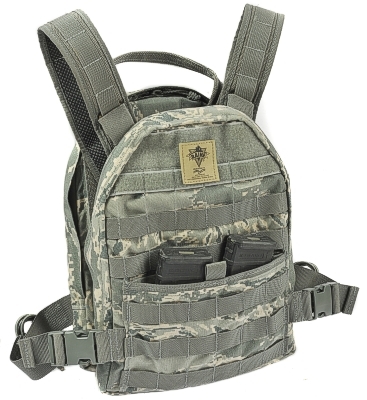 Made with tough, wear resistant nylon to withstand heavy use and is MOLLE compatible. Raine BLACK Smartphone case shown open. Check out http://www.raineblack.com/molle-smartphone-pouch-052p4m for more info. In addition, Raine Inc. offers a variety of products in their Raine BLACK line, superior high end gear to be used up to the Tier One level, Made in the USA, and Berry Compliant. Raine BLACK: “Serving the Best Warriors in the World”. Don’t miss out on this limited time offer! 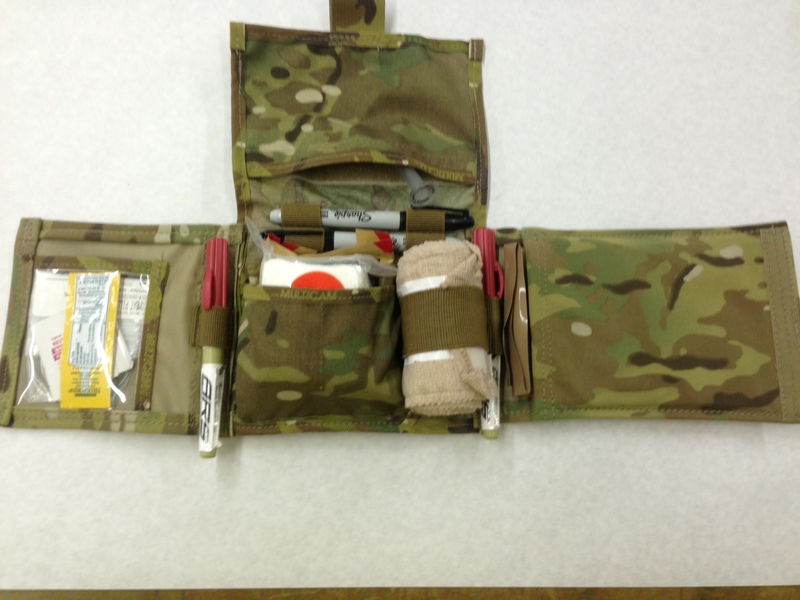 Get Raine BLACK’s Blow Out Kit that was designed for an AFSOC unit. 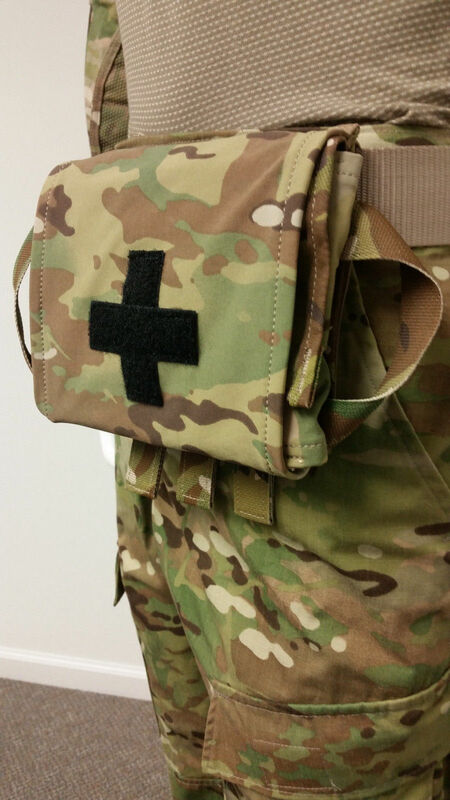 The pouch is not a full IFAK, but rather a very specifically designed system as dictated by what the Combat controllers required. The Blow Out Kit is a tear away- allowing triage to happen much quicker than any hard mounted solution that exists on the market. This Pouch features 4-way stretch fabric by Duro to reduce weight. Raine BLACK’s Blow Out Kit is Made in USA and Berry Compliant. This product is Made in the USA and Berry Compliant. Hurry to place your order as these are Limited Supply! Call Raine Inc. for your unit’s need at 1-800-826-5354 or Order Online. For a complete list of Raine BLACK products, go to raineblack.com. Get Raine BLACK’s Blow Out Kit that was designed for an AFSOC unit. The pouch is not a full IFAK, but rather a very specifically designed system as dictated by what the Combat controllers required. The Blow Out Kit is a tear away- allowing triage to happen much quicker than any hard mounted solution that exists on the market. This product is Made in the USA and Berry Compliant. Hurry to place your order as these are Limited Supply! Call Raine Inc. for your unit’s need at 1-800-826-5354. Watch for yourself: Raine BLACK’s Quick Adjust Slings with the ease of motion here. Raine Inc. offers a variety of products in their Raine BLACK line, superior high end gear to be used up to the Tier One level, and can be found at http://raineinc.com. For more information, several Raine BLACK Quick Adjust Slings can be found at http://raineinc.com/catalog/index.php… and scroll down for options. These Slings are Made in the USA and Berry Compliant. See Raine BLACK’s newest Blow Out Kit that Will Romes, Marketing & Development Manager, did for the same AFSOC unit. The pouch is not a full IFAK, but rather a very specifically designed system as dictated by what the Combat controllers required. The Blow Out Kit is a tear away- allowing triage to happen much quicker than any hard mounted solution that exists on the market. Pouch features 4-way stretch fabric by Duro to reduce weight. This product is Made in the USA and Berry Compliant. Call Raine Inc. for your unit’s need at 1-800-826-5354. Raine Inc. wants to say “Thank You” for the 300 likes on Facebook! Just comment on this post or in the Facebook comment section and tell us your favorite Raine product you have used. Why is it your favorite? Drawing will be held on Monday, July 29th at 5 pm CT.
It’s important to hear from YOU and what you find helpful to use in the field and on the job. Your comments will enter you for a chance to win the Walking Wallet in burgundy (Product #0030BG). 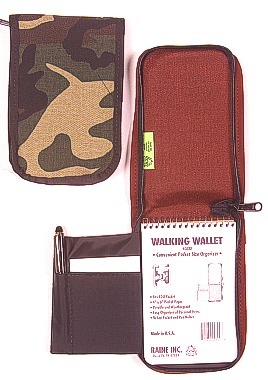 The Walking Wallet is Made in the USA and Berry Amendment Compliant. For a complete list of Raine’s over 500 products, go to http://raineinc.com. If you haven’t already, click here to become a fan of Raine’s on Facebook and receive 10% off your online order. 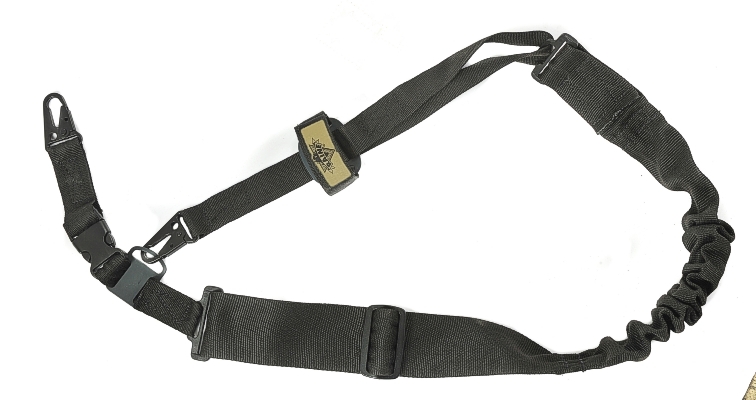 As part of the BLACK line of products, Raine Inc. has partnered with Savvy Sniper to produce a new line of weapon slings. The four slings are licensed from Savvy Sniper, and include the COBRA Quick Adjust Sling (QUAD Cobra QD), Ambi Quick Adjust Sling (QUAD Ambi), Heavy Weapon Quick Adjust Sling (HD QUAD SAW), and General Purpose Quick Adjust Sling (M4 Lite) models. The slings are constructed from 1″ or 2″ mil-spec tubular webbing and bungee cord, and use tri-glides and buckles from Austri Alpin, and/or tri-glides, buckles, and clash hook attachments from ITW Nexus, dependent on model. They also feature a proprietary slider handle for instant adjustment in sling length and are designed to be used with gloves during operations. 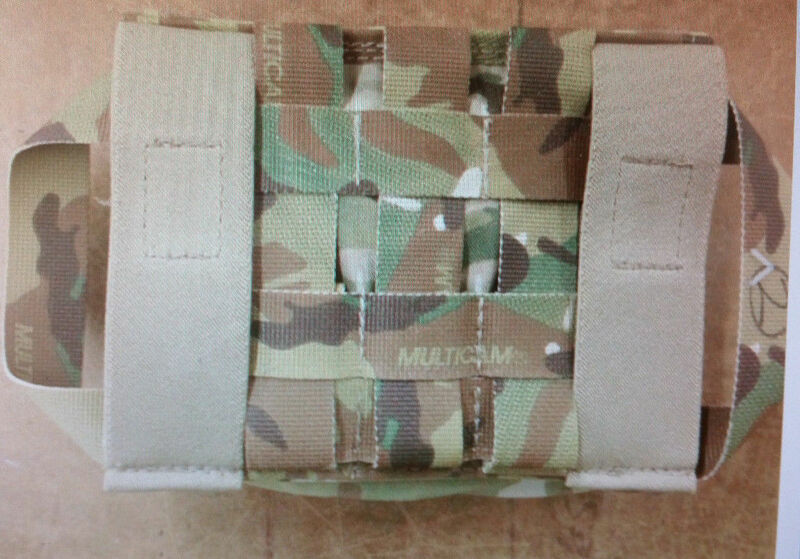 All four models of slings are currently available in Tan, Black, Foliage Green, and MultiCam. Raine offers a variety of products in their BLACK line and can be found at http://raineinc.com. Click here to become a fan of Raine’s on Facebook and receive 10% off your online order. Check out the latest General Purpose Plate Carrier (Item # 72B) in the BLACK line of Raine’s products. The Plate Carrier offers fully adjustable shoulder straps and side adjustment buckles to provide a comfortable fit and even distribution of weight. It also has ‘top load’ zippered plate pockets to keep plates secure, the inside EVA foam channels allow for ventilation, kangaroo slit pouch, and durable low IR 500D Nylon fabric and webbing. 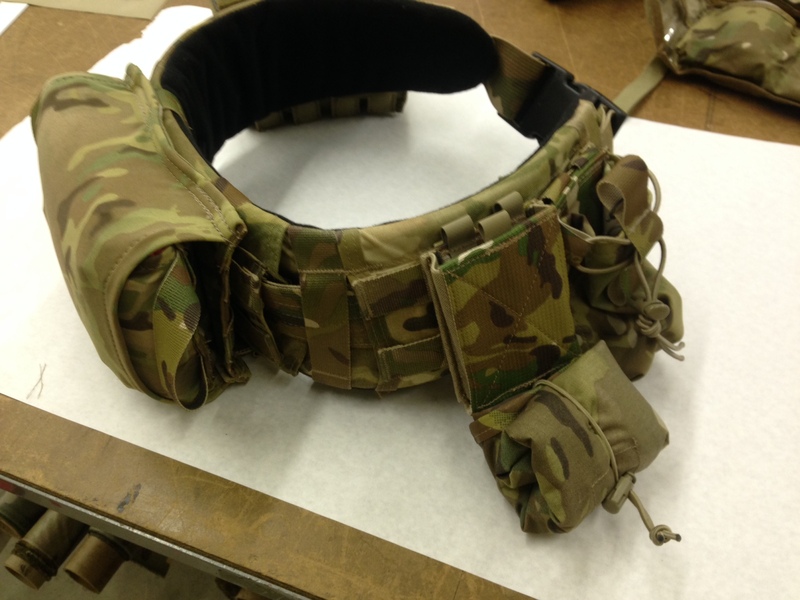 Click here for more product detail regarding the top quality hardware in this Plate Carrier. 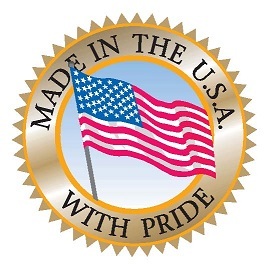 The product is Made in the USA and Berry Amendment Compliant.